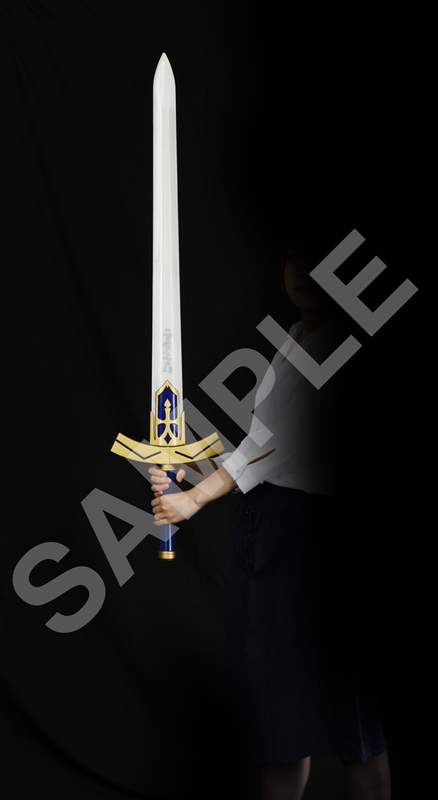 With this 1/1 Scaled Deluxe Edition Excalibur - The Sword of Promised Victory – from Fate/stay night [Heaven’s Feel] you can experience the overwhelming magnificence of the King of Knights, and unleash your Noble Phantasm with this full scale sword. Deluxe Edition includes with additional voice and special unit that mimics the effect of Invisible Air! Includes: Stand, Instruction manual, and Invisible Air unit. 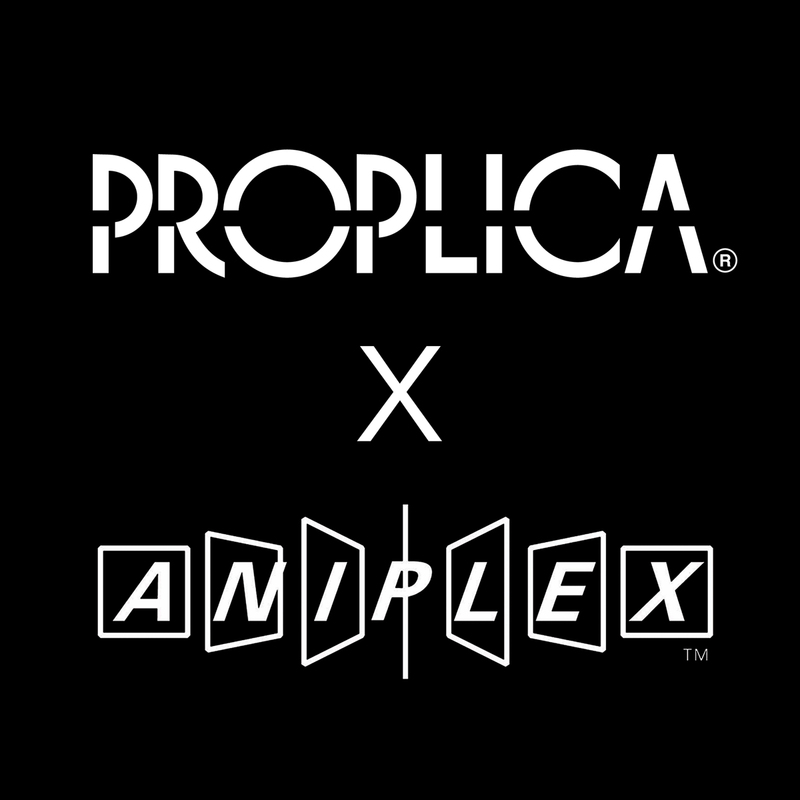 Created by Bandai’s PROPLICA with their expert crafting experience, this is not just an “ordinary prop toy”! 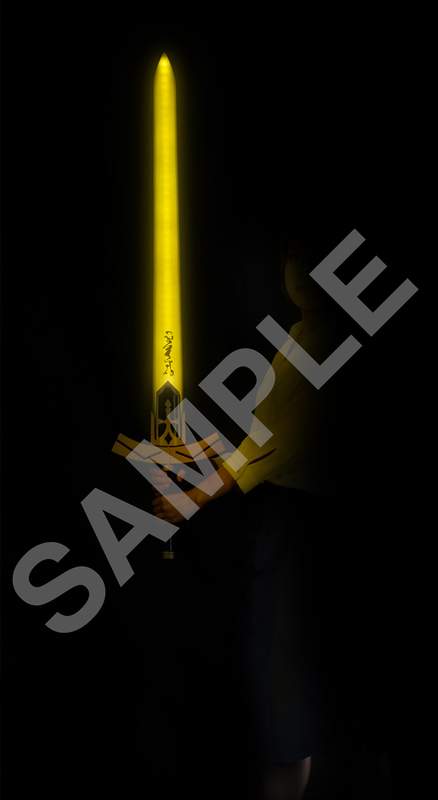 Packed with multiple unique sound effects and a light-up blade, it seeks to feel like the real Excalibur. In addition! 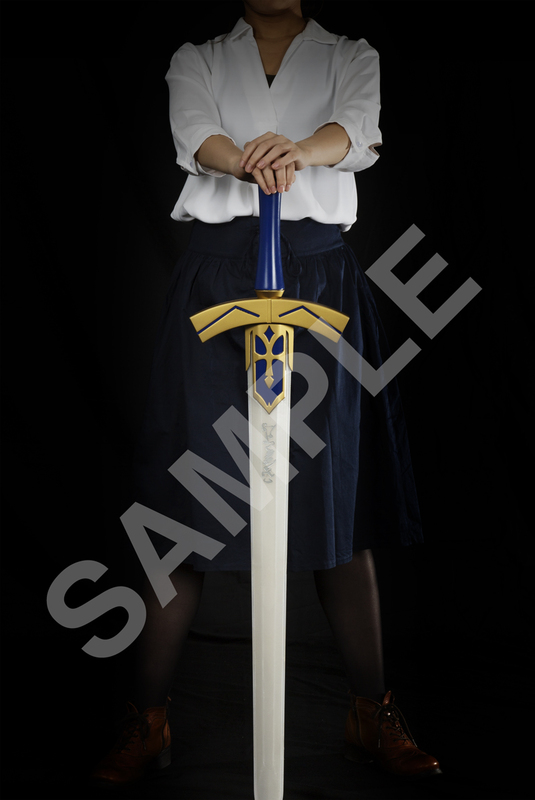 New and original voicelines are recorded featuring the voice of Saber, Ayako Kawasumi! This is truly a sword fit to be called the "Sword of Promised Victory"! Due to licensing and contract restrictions, this product can be sold and shipped to North America, Central America, South America, Australia, New Zealand, the United Kingdom, and Ireland only. It cannot be shipped to Japan. Both product details and shipping costs are subject to change. All sales are final. It may be returned for an exchange if defective, but unfortunately we are unable to offer refunds. 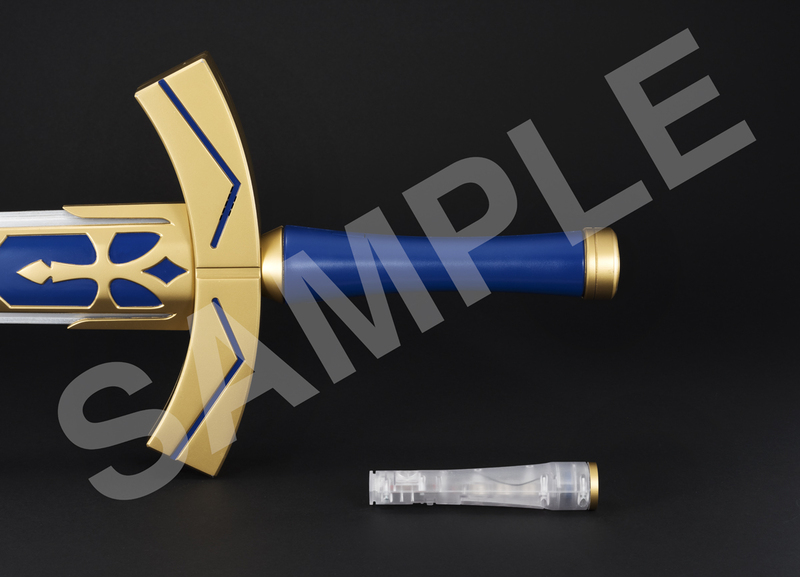 This is the deluxe Excalibur package and includes the Invisible Air Module, Sword and module are well built and sword part is fairly Light so it shouldn't be a problem for all you cosplayers out there. Definite bonus for Ayako Kawasumi's Voice overs. Sword has 2 modes which are selectable by removing part of the Hilt. "Battle Mode" where the sword makes "Clanging Sounds" and Noble Phantasm mode, where the sword lights up and simulates The Noble Phantasm with Voice Over. Only Negatives that keep it from getting 5 Stars is the paint job on the hilt, while adequate, doesn't quite look "Metallic" enough. The only other negative is the Price, which keeps oit out of reach for a lot of people. If you do decide to buy it, You won't be Disappointed. 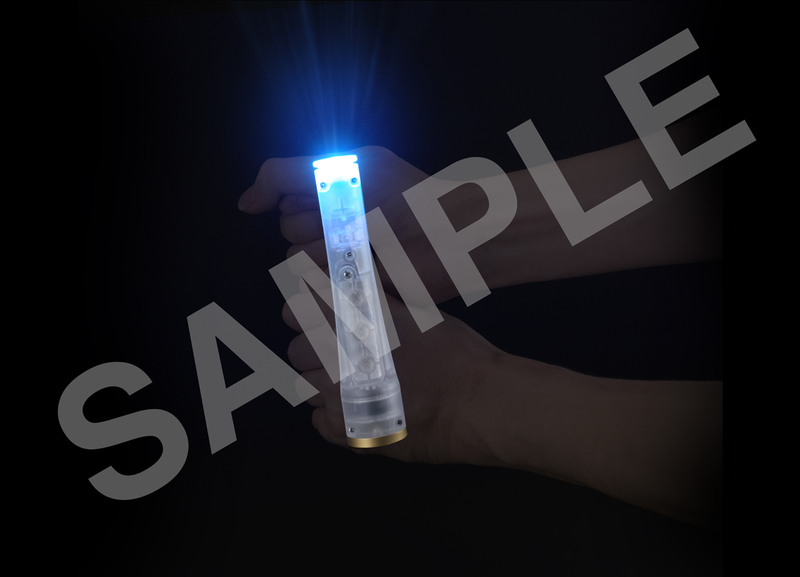 Note: Invisible Air Module comes with Batteries, The Sword requires 4 AAA Batteries which are NOT included.